It is never too late for a weight-loss holiday and if you haven’t managed to find time for it before the beach season, it is not a bad idea to book it now, at the warmest time of the year when the weather encourages to go for light snacks and lots of water instead of a hearty winter roast. We’ve put together the five best weight-loss hotels to get you in shape for the best time of the year! Check our list the best hotels, resorts and retreats for different kinds of weight loss and detox holidays and start planning your trip! Weight-loss with Ayurveda? The traditional medicine is not only suitable for relief of health-related problems, but also aims to reduce weight. The Heritance of Ayurveda Maha Gadara in Beruwela offers a 14-day slimming treatment – using only Ayurveda methods. Traditional Panchakarma cleansing treatments stimulate the metabolism and thereby aim for a lasting weight reduction. The on-site centre for yoga and meditation provides daily yoga sessions for bodily fitness and spiritual balance. Fresh fruit juices, soothing herbal teas and vegetarian meals help to tailor your nutrition specially for your constitution and achieve lasting effects. 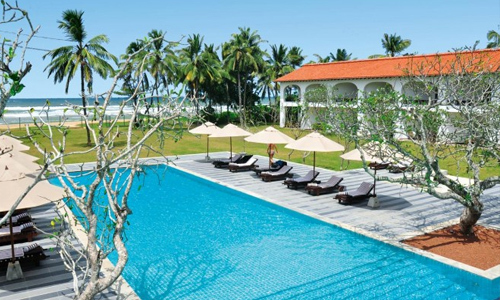 With paradise-like beaches in the immediate vicinity, losing weight in the resort on the west coast of Sri Lanka is that much easier. So, time to unpack the bikini! Whether for preventative Schroth or for LOGI-Diet: the Concordia Wellnesshotel & Spa**** doesn’t let anyone leave without them having left a few excess pounds behind. During the medically recognised Schroth treatment receive basic cuisine and an inexhaustible choice of herbal teas for an optimal healthcare as well as a sustainable weight reduction. The LOGI-Diet meals, despite being low-calorie, leave no wish unfulfilled and achieve stimulation of the metabolism and a lasting, slim figure. The free access to the on-site hotel fitness park as well as participation in an extensive sports programme allow further weight to be lost. With fitness devices, Pilates, yoga, Nordic walking, and fat-burner courses, the weight loss will increase with bodily performance. 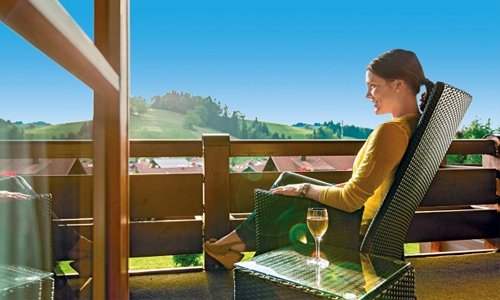 The holiday hotel greets its guests with a charming country-style and a unique location in Alpine Oberstaufen. The unspoilt nature of the region and the breath-taking mountain backdrop of the Alpine foothills are suitable for physical exercise and fresh air so you can just leave the calorie burning to happen on its own. Sun, sea and juicy fruit: Fruit-fasting in Hotel Jardim Atlantico Madeira **** shows the sunny side of weight-loss. The two consultations with a dietician and purely basic relief-food work for a positive effect on the metabolism and stomach and intestinal areas. The use of the homely pool area, sauna, and gym give the body the additional gift of an active well-being. A bare-foot path and an on-site hotel Vital-Wellness centre provide the ultimate holiday atmosphere in the gorgeous holiday resort. The generously sized terrace on the steep slopes of the south west coast offers a breath-taking panorama view of the sea. 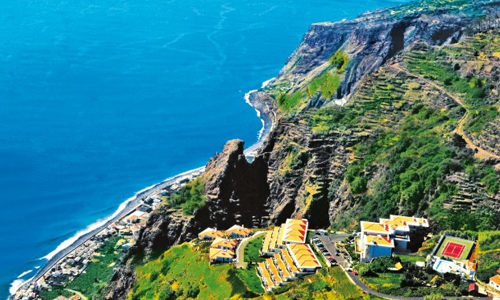 Botanical and cultural trips as well as hiking tours into the nature parks complete the experience of staying on the Portuguese island and increase the pleasure of a summer with a slim waist-line. 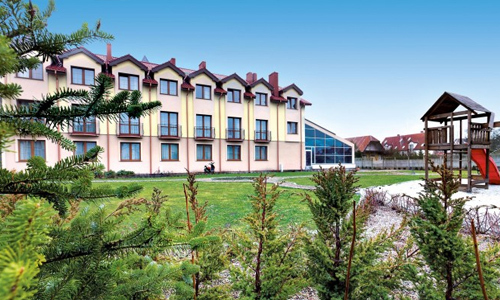 The Magnat Spa*** is waiting for its guests to arrive in one of the nicest nature parks of the Polish spa resort in Kolberg so they can lose weight they’ve accumulated over the year. During a specially designed slimming programme they will help you strive for a reduction in body weight, a decrease cholesterol levels and for you to embark on a new lifestyle of vitality. The programme offers basic treatments at the recommendation of a dietician such as mechanical lymph drainage, stomach massages, and a balanced sports programme. We’ll work with you on your summer figure with gymnastics, aqua fitness and Zumba. In the on-site spa there is always a qualified team of therapists available, with a varied offer of massages as well as magnetic field, electro, laser, and hydro therapy and pearl baths. You can also lose weight by taking part in our Nordic-walking activities, as the Polish Baltic Sea town of Kolberg offers the ideal location for outdoor exercise and fresh sea-air with its beach promenades and spacious spa resort. Why wait for summer to come here, when sun, holiday and fitness go so well together. In the Ermitage Bel Air Medical Hotel **** many programmes are waiting to look after the problem areas of their guests. An individually tailored nutritional programme and great sports offer will make the flab melt away and offer a relaxing health-programme for bodily well-being. Fit & Slim means enjoying reactive mud packs, massages, and having the privilege of a personal trainer. The Weight Management programme sets up individual cardio-fitness sessions which you can personally arranges well as Thermal spa sessions and lymph drainages. Surrounding the on-site hotel park and not far from the centre of Monteortone Terme, weight loss here becomes a sunny holiday experience in beautiful Italy.